This article first appeared in Sky’s Up Magazine of the Astronomy Outreach Network. The January-February 2018 issue is a celebration of women “Making Their Mark” in astronomy. The piece features the life and work of Dr. Connie Walker, who served on the Board of Directors of the International Dark-Sky Association for many years. Walker is referring to the natural night sky, and lamenting its destruction through needless light pollution. Walker has devoted much of her career to tackling this issue by creating opportunities for younger generations to learn about the “dark skies” mission, the dangers of light pollution–and how we could collectively solve this problem, soon. 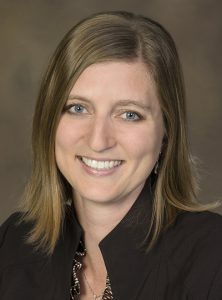 Through her work at the National Optical Astronomy Observatory, Walker has developed and managed several astronomy-focused educational programs for K-12 students and teachers, universities, and the general public. 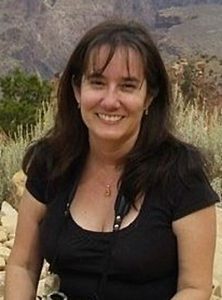 Her work was recognized by the International Dark-Sky Association (IDA) in 2011 with the prestigious Hoag-Robinson Award. 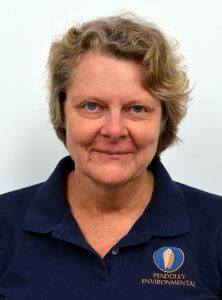 Walker is now serving her sixth and final year on the IDA Board of Directors and has brought her focus on the next generation to her leadership, spurring IDA members to take part in the Globe at Night project, and the creation of an Education Committee committed to the goal of teaching youth about light pollution. Globe at Night is an international citizen-science project that enables participants to log night sky brightness data for their communities. It contributes to our global knowledge of light pollution, while helping connect students and families to the wonders of the night sky. After participating in Globe at Night, high school students and local amateur astronomers in Norman, Oklahoma, took the data they gathered to their city council and within two years the city created stricter lighting ordinance. Globe at Night and the Quality Lighting Teaching Kit are just two among many learning projects Dr. Walker has brought to life during her 17 years with NOAO and her two terms on the IDA Board of Directors. During that time she has also guided her own two children from cuddle toys to college. As toddlers, Connie’s daughter and son could often be heard in the halls of Steward Observatory, where she and her husband both worked. Later the children participated in many star parties and astronomical events with their mom and dad. Although they followed different career paths (law and computer science) there is little doubt where they got their love of learning and drive to succeed. Dr. Walker’s accomplishments are inspiring … and inspiration, itself, is part of her motivation. “From the days of Star Trek and the first man on the moon, I have seen starry skies opening our minds to endless possibilities,” explains Walker. While Walker is motivated by the humanistic aspect of protecting night sky heritage, she is equally in tune with the significance of preserving dark skies for astronomy and research. Walker was herself a radio-astronomer who helped to build instrumentation for the Heinrich Hertz Sub-millimeter Telescope for Mt. Graham in southeast Arizona. With an undergraduate degree in astronomy-physics, a Masters in electrical engineering, and a Ph.D. in astronomy, Walker is one of those rare individuals who values night skies from both the humanities and the scientific perspectives with equal depth. Walker easily identifies the heroes who inspired her, many of them notable women in the field of astronomy. Waltraut Seitter, Director of the Astronomy Department at Muenster Universitaet in Germany was “a powerhouse” who invited Walker as a student to work with her at the observatory in Germany. Dorrit Hoffleit of Yale was the Director of the Maria Mitchell Observatory on Nantucket Island and gave Walker her first summer job. And Maria Mitchell was herself the first female astronomer in the U.S., a comet-finder in the 1840’s who was not recognized as a scientist in her home country, though the Queen of Denmark honored her. When Walker describes the education projects she and her team have created, it’s impossible not to hear in her voice a sense of maternal pride, love, and concern. Equally clear is a scientist’s insight—and a dark-sky advocate’s hope for the future of night on Earth. Diana Umpierre (AICP, GISP), IDA President, is a dedicated dark sky advocate. With over 25 years of experience in urban planning, geography and geoscience, Umpierre currently works as a grassroots organizer for Sierra Club. Her passion for grassroots/public advocacy began with efforts to protect the last remaining natural night skies over Florida’s Everglades. In 2013 she was named IDA’s Volunteer of the Year, and in 2016 she helped kick off IDA’s Grassroots Empowerment Advisory Committee. Kim Patten, IDA Vice President, has an M.S. in environmental planning from the University of Arizona and more than 10 years of experience managing projects and programs in conservation, renewable energy, and distributed data systems both nationally and internationally. Her experience includes managing and conducting research on a more than $30 million portfolio, including co-principal investigator on a $3.6 million National Science Foundation cooperative agreement and project manager of a $22 million U.S. Department ofEnergy-funded project. Kellie Pendoley, IDA Director, has worked for over 30 years with the oil and gas, mining and ports industries and local councils to minimize and manage their light pollution and to protect nearby marine turtle rookeries from negative impacts of artificial light at night. Kellie is actively involved in the development of biologically meaningful light measuring equipment, as well as research to improve understanding of the impacts of light on seabirds and marine turtles.